At some point it had to end. The constant and seemingly never ending pursuit of career goals, publication targets and academic fame was driving me into a corner. I felt increasingly frustrated. And not just professionally. The life in academia also affected my personal happiness. 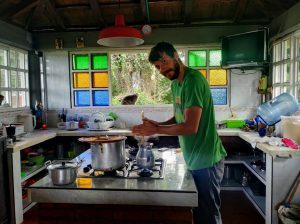 While I’d begun to release the stress with an increased training effort on my road bike in the mountains of Bogotá, I knew that this was a temporary fix for a more structural problem. Something needed to change. But what? And how? 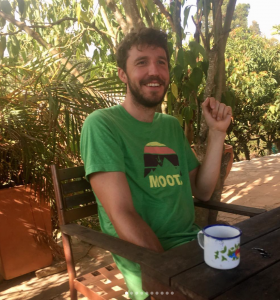 I’d never done a long trip in my life, nor did I think of myself as the type of person to be into months-long travels without having a planned timeline, route or destination. 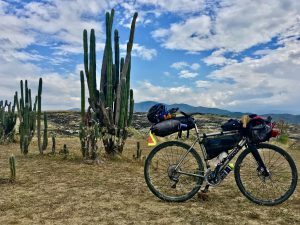 But when I came across bikepacking, I was immediately sold on the idea of setting out for a self-supported adventure on a bike. 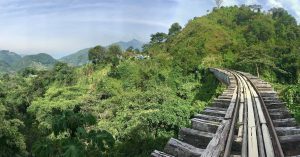 And after having lived in Colombia for so long, it was clear what I wanted to explore: the culturally and naturally diverse mountain ranges of the Colombian Andes. 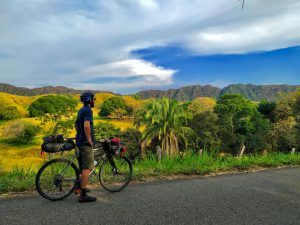 The remoteness of its landscape and the tranquility of its villages seemed to be the perfect mix for my bikepacking trip that would get me away from it all and just allow me to be. 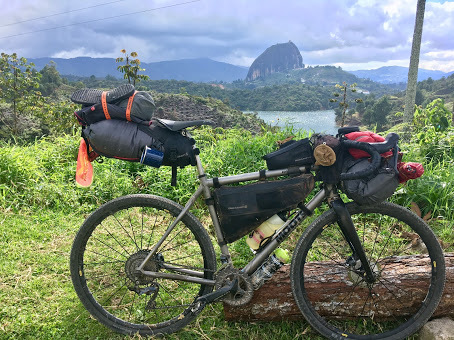 Coincidently I had heard of Moots for the first time in Colombia last year, when I was riding the legendary Alto de Letras, the longest paved climb in the world with Brent. And I was immediately fascinated by his Moots Vamoots, the beauty of the raw titanium, and the love for detail on its handmade frame. After a back and forth with Brent and Danny about which Moots would suit best for my adventure, I decided for the Routt 45. 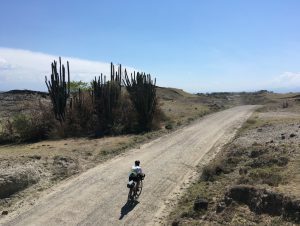 It seemed to be the perfect combination of an aggressive enough bike with the comfort and control needed for the varied surfaces of the Colombian mountains, valleys, towns and deserts. I modified the bike to my gusto, put a Salsa Woodchipper on, oval sub-compact chainrings (46/30), and a 11-42t cassette. 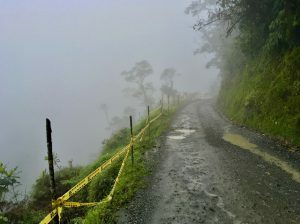 Otherwise I would have surrendered at the many 20%+ gradients of Colombia’s mountainous landscape. With everything ready, the bags strapped to my Routt 45 and a mixture of anxiety and anticipation in my stomach, I sat out to hit the road. 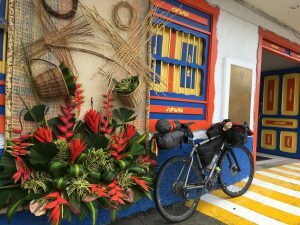 Leaving north out of the sprawling capital of Bogotá, passing colonial towns, climbing to high-altitude passes, and riding through steep valleys, I soon felt like I’d never done anything else. Nor should I be doing anything else at that moment. 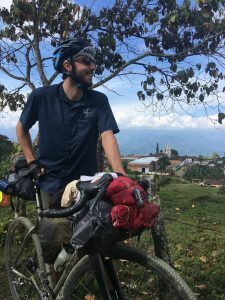 Travelling the Andes by bike is not just a physical challenge of pushing your body to exhaustion at high altitudes, often beyond 12.000ft. It is also a mental one to confront being alone, to pass through places where no cellphone service reaches, where no humans live, where you’re one with nature, with life. 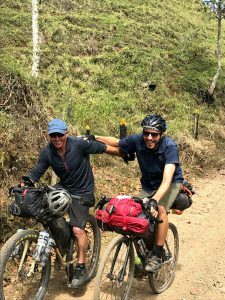 While this secluded life is at times tiring, especially when there’s long and technical hike-a-bike sections, this combination of the physical and mental confrontation with yourself makes it all highly rewarding. 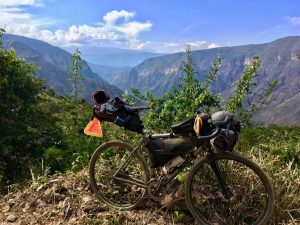 The experience of riding my Moots Routt 45 through the Colombian Andes, crossing the eastern and the central ranges several times, has truly been one of the best experiences of my life. 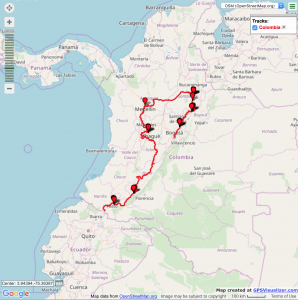 Such that I’ve decided to continue this trip south and explore the Andes of Ecuador and Peru. There’s no planned destination. No planned route. I’ll just follow my instincts.  To wherever my Moots (and my legs) will take me.